I came across the sweetest fan art ever! I swear! This is so cute!! Derlaine has created lovely pieces about Loki and his family life. You have to check her art!! It is awesome! 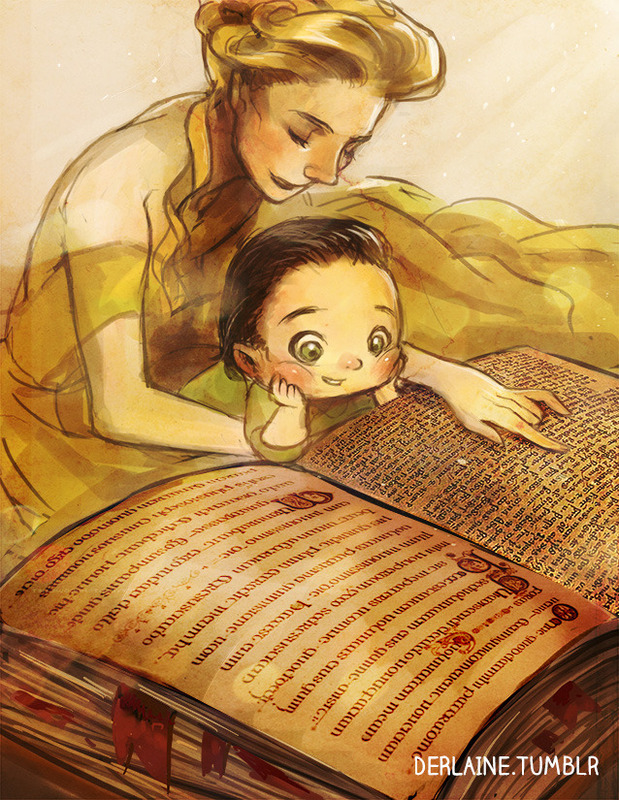 This is a cute scene of Frigga teaching Loki. It is really sweet!! I think this is one of the sweetest drawings that Derlaine has created. And the author got it right, I think. 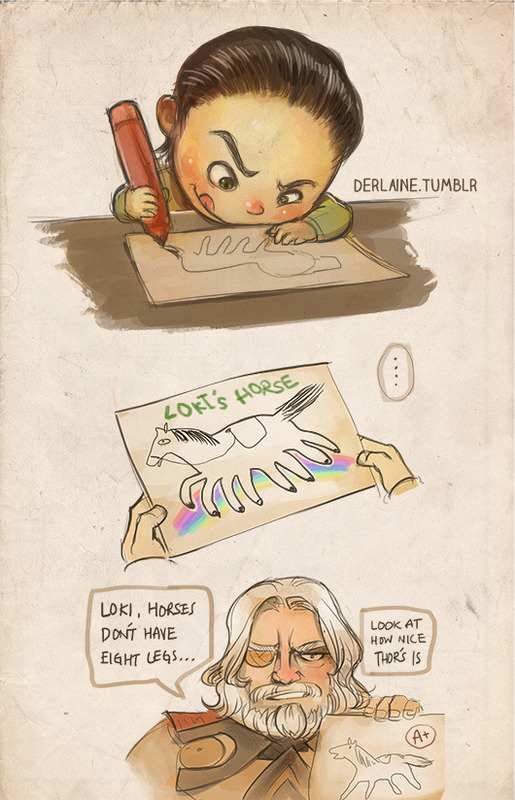 “Mischievous” was something that surely popped out when Loki was a kid. Teheee. This is exactly what I talked about in “the psychology of Loki“. 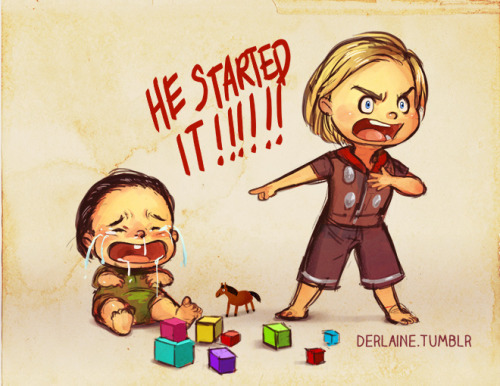 In the first movie we see a young Thor who acts like a spoiled child and who did whatever he wanted, while Loki tried to survive as he could. 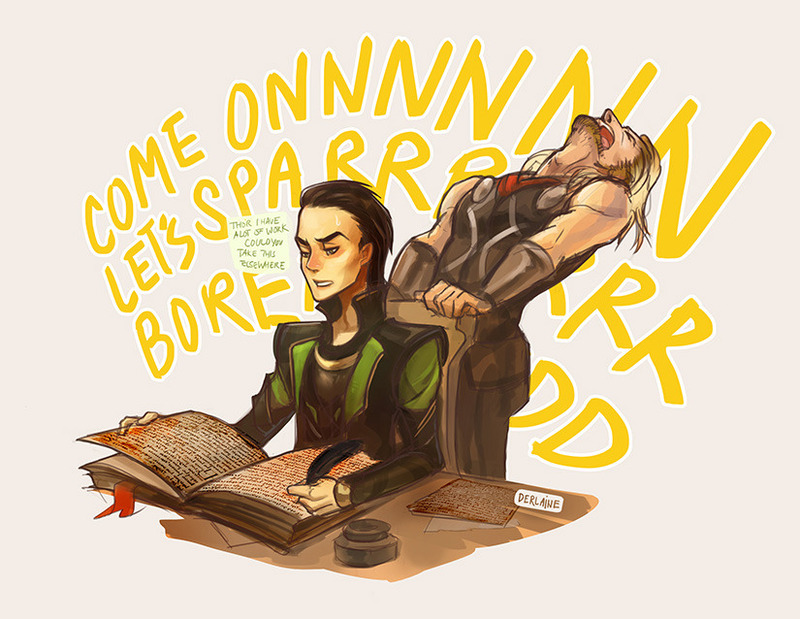 Loki has the brains, but not the brute force of Asgardians. 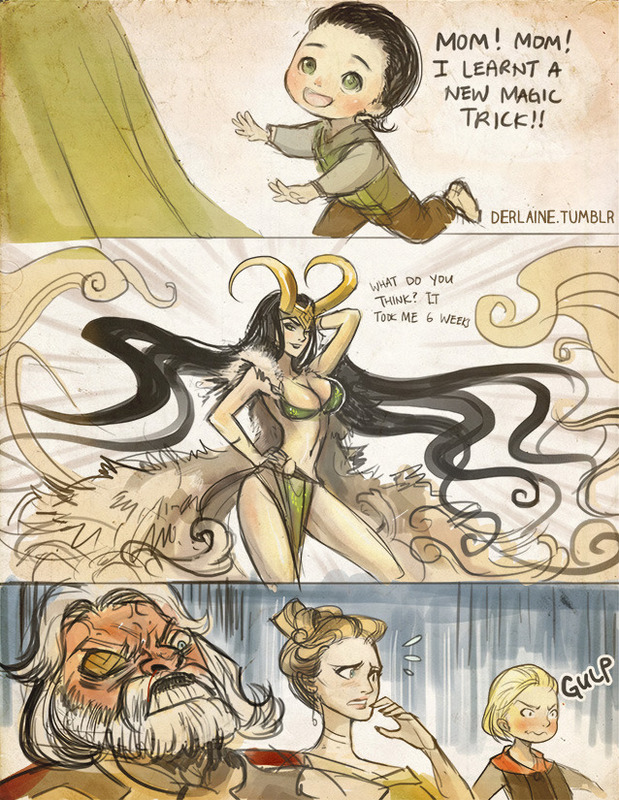 That is why I do believe Loki is the Geek God of Mischief. And yeah! 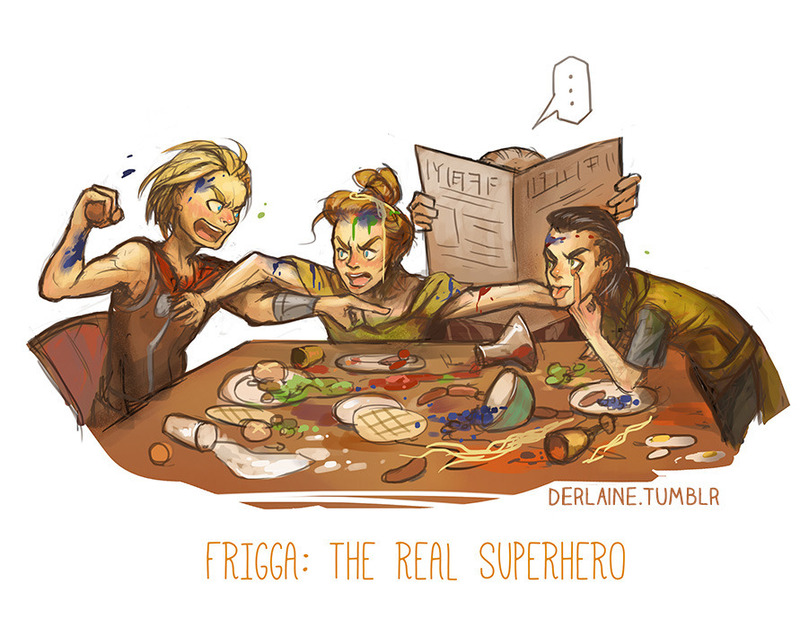 Mom Frigga had a hard time… Oh yeah! She deserves a medal! 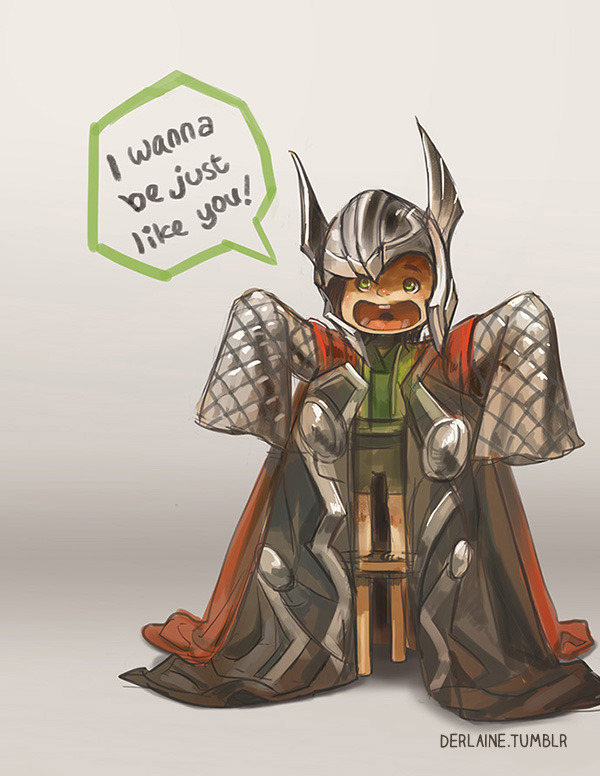 Again, what I was saying in “the psychology of Loki“. 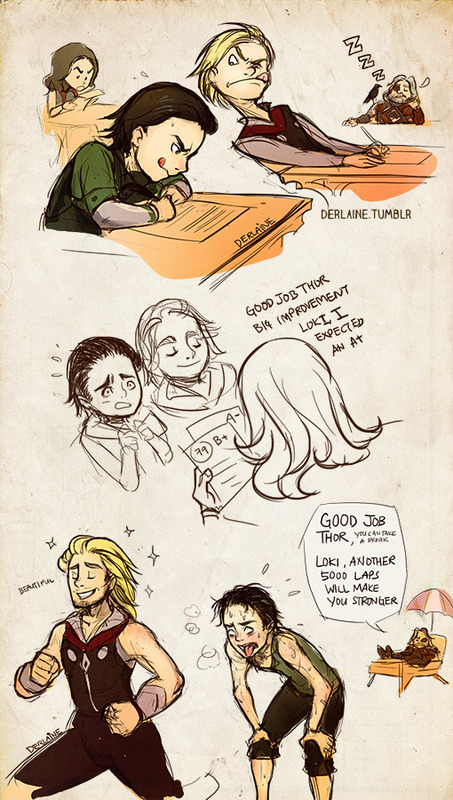 Thor has no interest to learn whatsoever: just party! 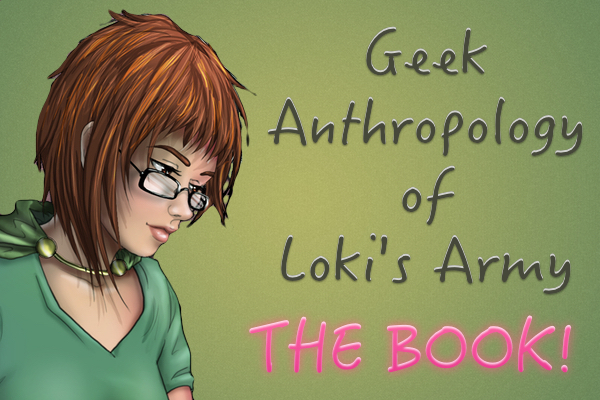 Instead, Loki is the Geek God of Mischief. What happens when you piss off a geek during years? When you neglect him?? 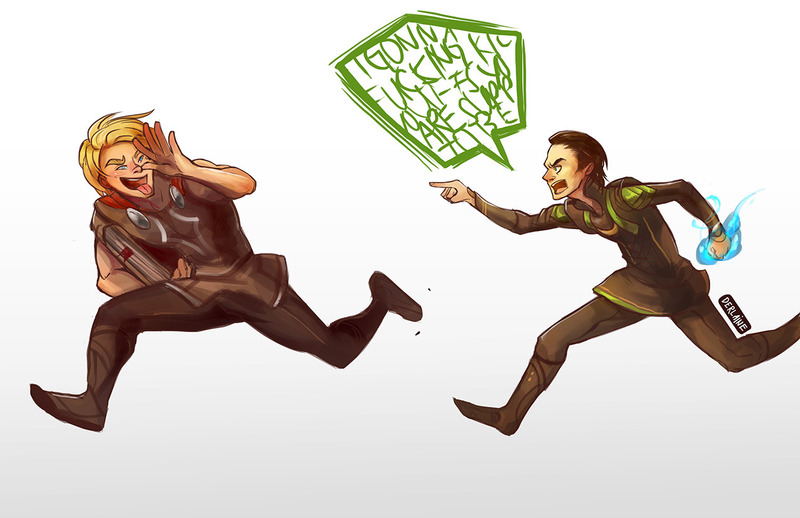 Well, Loki happens! This entry was posted in Fan Art and tagged cute, fan art, kawaii, sweet on March 15, 2014 by pepi.